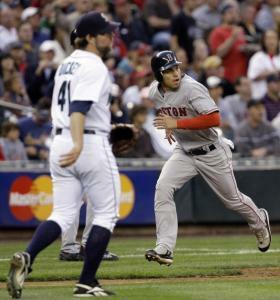 SEATTLE --Mike Lowell hit a two-run single off Sean Green in the 12th inning, and the Red Sox took advantage of two outfield errors to beat the lowly Mariners 6-3 on Wednesday and complete Boston's first series sweep at Seattle in 15 years. SEATTLE - First, Jon Lester. Last night, Daisuke Matsuzaka. The way the Mariners are swinging, a 12-year-old from Daisuke's old Little League team from Tokyo will gladly skip Williamsport and the Little League World Series, where they're scheduled to represent Japan, to take his shot at Seattle.